Sized Newborn, small - large. Yoke pattern featuring a plain yoke which may be embroidered or monogrammed. Horizontal insertion may be used across the yoke front & yoke back. Long puff sleeve & a short puff sleeve have been included. Instructions & design features of this variation may be used w/the wide variety of laces & trims. 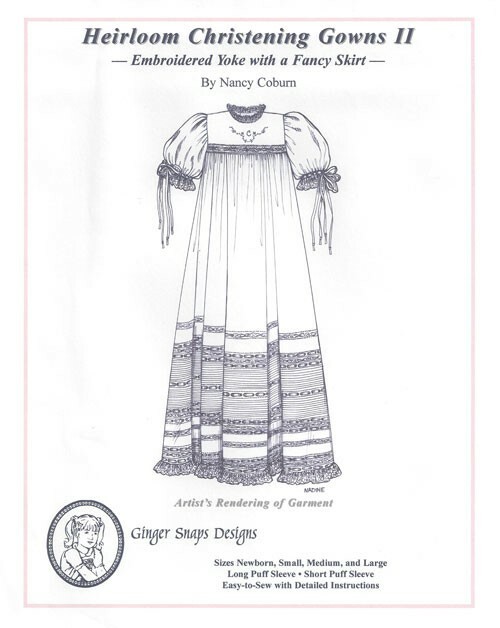 Easy to sew design & ideal for beginners or more advanced seamstress.